If you are hoping to fly with Aden Airways, you are too late, but you can find a flight to anywhere in the world with Skyscanner. Then follow the navbar icons to our parent site where you can search our selection of leading Travel Service Providers which will help make a good trip into a great one! 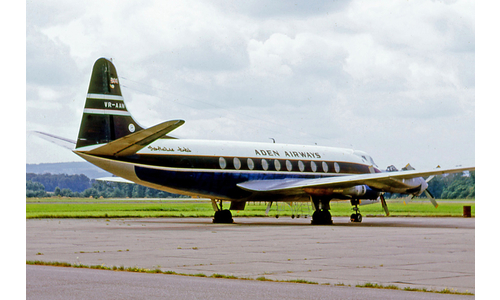 Aden Airways commenced operations in 1949 as a wholly owned subsidiary of BOAC. Aden in those days was an important strategic base for the RAF and the Port was the main fuelling station for shipping from the Suez Canal en route for India, the Far East and Australia. The British withdrew from Aden after the troubles in the early 1960's and the Airline ceased operations in 1967. Transportation never stands still and nowadays, due to the political turmoil in the region, everything is now consigned to history, but what a history it was! You can read all about it in the fine book "Red Sea Caravan", by Dacre Watson, published in 2008.